<! [if !supportLists]>· <! [endif]>Potential scoping study to be completed pending positive exploration results. March 20 -- Mongolian metallurgical coal explorer, Aspire Mining Limited (ASX: AKM, the "Company" or "Aspire"), is pleased to announce that its 50% owned Ekhgoviin Chuluu Joint Venture ("ECJV") with the Noble Group (SGX: N21) has received an independent geology report for its Nuurstei Coking Coal Project ("Nuurstei"). The ECJV owns a 60% interest in Nuurstei (with the ability to increase to 90% with the remaining 10% held by the Mongolian vendor). Aspire has recently secured a one year option to acquire the remaining 50% of the ECJV from the Noble Group. March 20 -- Guildford Coal Limited (Guildford or the Company) (ASX: GUF) is pleased to announce that it has appointed Jenya Mesh as the Company's Director of Investor Relations effective March 16, 2015. Jenya becoming a member of the Guildford executive team aligns with the establishment of an office in Singapore, a strategic move towards achieving greater presence in Asia. Prior to joining the Company, Jenya worked for Rob McEwen at McEwen Mining in Toronto, and for Alexander Molyneux at Azarga Uranium in Hong Kong. Ms. Mesh, based in Hong Kong and Singapore, will be responsible for helping market the story of Guildford to Asian investors and analysts. "I am thrilled to join Guildford Coal. Having just become a brand new producer, the Company is in a remarkable position to create shareholder value. Refocusing our marketing efforts to a more appropriate audience in Asia, will enable us deliver long-term share price growth to the Company's stakeholders. ", stated Jenya Mesh, Director of Investor Relations. March 20 -- Xanadu Mines Ltd (ASX: XAM, "Xanadu") is pleased to release a technical presentation made by Dr Stewart last evening at the prestigious PACRIM 2015 conference. The presentation highlights the progress of exploration over the last 12 months at the Kharmagtai Project in Southern Mongolia including the announcement of a Maiden Mineral Resource. March 19 (Cover Mongolia) A Disclosure of Interests notice announced today reveals SouthGobi Resources had gained a new substantial shareholder in China Wish Limited (registered address Flat 2601, 26/F, Paul Y Centre, 51 Hung To Road, Kwun Tong, Kowloon, Hong Kong). China Wish Limited, in turn, is wholly-owned by China Wish Group Ltd (registered address TMF Chambers, P.O. BOX 3269, Apia, Samoa), which is wholly-owned by Liu Zidong (劉子棟). China Wish acquired 20,880,663 shares or 9.55% stake in SouthGobi via an off-market transaction at HK$2.873 a share, become a substantial holder in the company on February 12. Nature of the transaction was categorized as "Surrender of rights to shares". Ulaanbaatar, March 19 (MONTSAME) At the Stock Exchange trades on Thursday, a total of 2,459 units of 10 JSCs were traded costing MNT three million 377 thousand and 394.00. "E-trans logistics" /1,284 units/, "Agrotechimpex" /1,000 units/, "APU" /53 units/, "Makh impex" /38 units/ and "BDSec" /31 units/ were the most actively traded in terms of trading volume, in terms of trading value were "Agrotechimpex" (MNT two million and 700 thousand), "APU" (MNT 185 thousand and 200), "E-trans logistics" (MNT 124 thousand and 548), "Gobi" (MNT 122 thousand and 400) and "Makh impex" (MNT 115 thousand and 330). The total market capitalization was set at MNT one trillion 345 billion 920 million 914 thousand and 487. The Index of Top-20 JSCs was 13,400.86, decreasing 0.89% and the all index of MSE was 969.77, decreasing 0.54% against the previous day. March 19 (infomongolia.com) A delegation of Financial Regulatory Commission of Mongolia (FRC) headed by Chairwoman Zagdkhuu NARANTUYA is conducting a working visit to Japan upon an invitation of Commissioner of Japan Financial Services Agency (JFSA) Mr. Kiyoshi Hosomizo on March 16-20, 2015. During her working visit, FRC Chair Z.Narantuya will also visit Japan Exchange Group (JPX), Securities and Exchange Surveillance Commission (SESC), Japan Securities Clearing Corporation (JSCC), Tokyo Commodity Exchange (TOCOM), Japan International Cooperation Agency (JICA), and Japan Securities Depository Center (JASDEC). The purpose of this visit is to exchange views and to seek technical assistance on establishing Central Counterpart (CCP) (Mogi: counterparty clearing?) in Mongolia, facilitation of successful implementation of project "Capacity Building of Capital Market" implemented by Japan International Cooperation Agency at Financial Regulatory Commission of Mongolia, successful privatization of state-owned enterprises through Mongolian Stock Exchange and many more. The Chair of the FRC is accompanied by Director of Market Development Department at FRC, Mr. A.Batpurev, Director of Securities Regulation Department Ms. T.Gandulam and Director of Risk Management and Policy Regulation Department at FRC Ms. Z.Oyuntsatsral. March 19 (Bank of Mongolia) On the Foreign Exchange Auction held on March 19th, 2015 the BOM has received bid offers of USD 3.5 million in a rate between MNT 1989.19-1990.29 and CNY 35.0 million in a rate of MNT 318.63-320.10 from local commercial banks. BOM has sold USD 3.5 million in a rate of 1989.19 and CNY 23.0 million with rate of 319.15. On March 19th, 2015, The BOM has received USD Swap agreement bid offer of USD 10.0 million from local commercial banks and accepted the offer. March 18 (Bank of Mongolia) Auction for 12 weeks maturity Government Treasury bill was announced at face value of 60.0 billion MNT. Face value of 60.0 billion /out of 106.1 billion bid/ Government Treasury bill was sold at discounted price and with weighted average yield of 15.435%. <! [if !supportLists]>(viii) <! [endif]>Report of the inflation outlook. In accordance with decisions of the meetings, members of the Council, within their respective functions, assigned duties and delivered recommendations to the relevant parties. <! [if !supportLists]>· <! [endif]>Mineral-backed #SWFs are suffering as prices fall. <! [if !supportLists]>· <! [endif]>Can fiscal prudence see #commodities funded SWFs through a spell of low prices? March 19 (Institutional Investor's Sovereign Wealth Center) As petroleum prices tumble, the world's attention is focused on those sovereign wealth funds associated with hydrocarbons. People are paying less heed to government-owned asset pools funded by revenue from nonoil commodities, such as metals, coal and diamonds. Prices for many of these exports have also declined over the past year, though less sharply than oil. Copper prices have fallen by 18 percent since crude started to tank last July, to their lowest value since mid-2009, according to NASDAQ data. Thermal coal has dropped 13 percent over the same period, and is also hovering near six-year lows, according to data provider InvestmentMine. The minerals cohort is a highly diverse group — geographically, in their countries' stages of economic development, and the particular sources of their wealth. Members stretch from Chile and Peru, with its $9.2 billion Fiscal Stabilization Fund, to the Western U.S., where the $7.1 billion Permanent Wyoming Mineral Trust Fund and the $20.2 billion New Mexico State Investment Council are domiciled. And from Botswana, with its $5.5 billion Pula Fund , to Mongolia's Fiscal Stability Fund with some $250 million in assets by a recent count. Chile has inspired funds in other mining-dependent economies, most notably its larger but poorer neighbor Peru. Fully 69 percent of that country's exports are metals and minerals, against Chile's 58 percent, according to a paper last year by Luis Felipe CÃ©spedes, Eric Parrado and AndrÃ©s Velasco (Mogi: sic), though Peru's mining industry is more diversified, including gold, silver and lead as well as copper. Peru formed a stabilization vehicle, the Fiscal Stability Fund (FSF), in 2011, depositing $5.6 billion that had accumulated in other pools, switching its focus to budgetary prudence away from intergenerational wealth transfer. Indeed, echoes of the Chilean sovereign wealth fund model can be found in Mongolia. Mongolian authorities created several vehicles for windfall revenues after the price shocks of 2008-'09. The Mongolian FSF, launched in 2011, which gets a share of mineral export earnings when prices move above long-term projections. Governing legislation forbids active management of the fund until it reaches 10 percent of GDP, according to the IMF report. Its 2013 assets of $250 million comes to just 2 percent, the report added. March 17, 2015 (bne) "How fast can you type?" That was the question Baatar received in a phone call early one February morning. It was the first time in more than four years that Mongolia was accepting new applications for mineral exploration licenses, and his uncle headed one of dozens of mining outfits scrambling to get their application submitted online before everyone else. Although Baatar – who did not want his real name printed over fears what might happen to his uncle's company – is technologically savvy and light on his fingers with the keyboard, his skills were of no help. The Mineral Resources Authority of Mongolia (MRAM) was no longer accepting applications by the time he made his first go at it. "There's many coordinates, but many overlap, too," says Baatar of the map locations the government is making available to exploration. "So even if I fill out the form fast, it's not enough." Baatar reckons he and his uncle were outclassed by companies that were armed with more capital, technological might and – crucially – political connections. Mongolia had hoped to attract a mass of new foreign investment when it announced last year that it was lifting a 2010 moratorium for new licenses to explore for minerals such as gold and copper. The country's economic growth slowed to just 7.8% last year – still relatively robust but a far below the world-beating 17.5% of three years ago – and a big factor has been the waning interest in the country's minerals and mining sector amid public disputes with investors. But this latest attempt at generating interest in the mining sector with new exploration opportunities hasn't resulted in any sea change in investors' appetite for Mongolia's vast natural resources. The government's claims of open and transparent auctions to win licenses to explore 10.1mn hectares of land have been refuted by foreign investors, who claim the process has been unfair and opaque. Although the government boasted that the online platform for the auctions would prevent corruption, investors claim the whole process has been hobbled by dodgy implementation and unfair advantages given to certain groups. A former deputy mining minister, Oyun Erdenebulgan, told bne IntelliNews last September that Mongolia could attract up to $1.5bn in 2015 from investments into exploration. But the more likely end result, investors say, is that the licenses will fall into the hands of speculators who will sit on them until they can be flipped for a tidy profit. Mongolia had drawn up strict criteria for the kind of companies that could compete for the licenses in order to bar speculators and poor-quality investors from participating. That included clean criminal and tax records, no outstanding debts to government agencies such as the social insurance agency, and a bank statement showing that the company held enough funds to undertake a legitimate exploration operation. However, the strict criteria were dropped just days before the applications process was launched. The requirements had "created quite an uproar [which] essentially pressured MRAM to drop those requirements by Friday night," read an internal memo of one of the mining companies involved that was shared with bne IntelliNews on condition that the firm's name would not be revealed. MRAM has accepted applications on select days for a pre-selected set of coordinates since late January. But a disastrous launch of the website because of technical problems soured investors from the outset. Investors complained that the website was down for the first ten minutes on the morning of launch day, on January 26. And many foreign and local investors were enraged when they failed to even access the website before it closed out 19 minutes after its launch, when the first 30 applications had been received. Shortly before MRAM began accepting applications, local software companies had begun touting offers that their software could guarantee that applications would reach MRAM within the window. An IT engineer working for a mining company that was applying for licenses said he knew of one piece of software that cost MNT4mn to buy, plus an additional MNT500,000 per application that was submitted to MRAM. "I don't think it's illegal, but I don't know how much of a conflict of interest it is either for the software developer. Maybe they have contacts with MRAM," he said, adding that the window has been expanded to accept the first 120 applications, but that takes less than a minute to happen. Mongolia's Agency for Fair Competition and Consumer Protections confirmed that it was looking into the licensing process by MRAM, but declined to comment while the investigation was ongoing. MRAM was contacted for comment but has not responded in time before publication. For many investors, the license application process has been more of the same rather than the new start that they were promised. Mongolia has struggled to rid itself of the whiff of corruption that swirls around its business environment. A report on corruption published in March 2014 by local pollster the Sant Maral Foundation reported that nearly 30% of respondents said that giving bribes would help an individual or company beat "unjust regulations," while 38.2% said bribes were needed to overcome bureaucracy. Mongolia's reputation as a place for doing business has also suffered from the numerous disputes with miners. The government is still deadlocked over the $127mn (later reduced to $30mn) in various taxes and penalties that it says it's owed for country's largest project, Rio Tinto's Oyu Tolgoi copper-gold mine. Three foreign former employees of another Rio asset, SouthGobi Resources, received prison sentences for tax evasion. In both instances the charges have been denied. Disputes in the mining sector are no doubt headaches for Mongolia's top government officials, who some investors believe genuinely seem interested in directing change. Mongolia's president pardoned the three SouthGobi employees a month into their sentences, each of which was for more than five years. And Prime Minister Chimed Saikhanbileg has been careful not to harp on about the tax dispute at Oyu Tolgoi, preferring to stick to the idea that Mongolia is willing to do whatever it takes to end the dispute and get work at the project started again. Despite these efforts, the influence of government chiefs can only reach so far into the depths of Mongolia's byzantine bureaucracy. How well it responds to the corruption allegations will send a message as to the kind of investors it wants to see return to the country. Ulaanbaatar, March 17 (MONTSAME) At its meeting on Monday, the cabinet approved a model of a product-sharing contract on oil exploration and exploitation to be established between a state administrative organization and a company. The approval of the model will make the contract content and regulations, except for basic terms of product-sharing contracts reflected in the oil law, more understandable and transparent, and will save time when establishing new contracts, contributing to oil exploration. Since adoption of the regulation of implementing the oil law in 1991, oil-related activities have been implemented on a principle of product-sharing based on domestic and foreign investments. Ulaanbaatar, March 17 (MONTSAME) The cabinet decided on Monday to develop a new wording for its resolution No.193 issued in 2011 on "Standards, classification, estimation methodologies and principles of procession of mineral ores, concentrates and products". The working group in charge of "informing the public on market price used in estimation of royalty on the minerals for exports", formed under the directions of the Ministers of Finance and Mining, has been designating the standard price of coal and coal products based only on the heat unit classification, without taking into account the characteristics of each coal deposit. If adopted, the new wording of the above resolution will help designate appropriate standard price for coal and coal products that satisfy the international standards. Ulaanbaatar, March 17 (MONTSAME) The cabinet on Monday approved a draft concept of the law on state property. The concept has been worked out to form a unified system of state property by changing a current law on state and local properties into a law on state property, setting criteria for founding state-property company, and managing activities of state-property companies under common standards of other countries. This draft is expected to create a general system of state property, and to let get rid of a poor implementation of state property monitoring and policy after creating conditions that allow the government to own state properties as the representation of the people. Ownership independence of aimags and the capital city will be ensured when they are given a right to own properties. Ulaanbaatar, March 17 (MONTSAME) The cabinet discussed Monday a draft of the new wording of the law on state registration of rights to properties and resolved to submit it to parliament. It is a necessity to transfer to a more flexible, immediate and transparent form a registration system pursuant to the rights to property and other related rights. The new wording authors offer realizations of the comprehensive frameworks towards transparent decision-making and a registration system that applies within a week as reflected in the Government action plan for 2012-2016, and for the implementation of the right to property. Ulaanbaatar, March 17 (MONTSAME) The cabinet meeting on Monday discussed and then backed a draft new wording of the law on state service, draft laws on salaries, compensation, assistance and social guarantee for state servants, on work performance of state organizations and their servants, and other related bills. The drafts will be submitted to parliament after the cabinet's suggestions will have been reflected in them. With 63 clauses in 16 articles, the draft new wording aims to make traditional understanding and concept of the state service as the public service, to form a legal basis for political dependence-free, fair, transparent and responsible state service and to strengthen the criteria for state service, which selects professional, skilled and ethical people only for the public service. A system will be introduced to provide skilled and educated people with a fair chance to enroll into the state service and to be promoted through an order of progressive career. The new version of the law has been formulated after careful studies of the same laws of the USA, Canada, Russia, South Korea, Hungary, Japan and others. An implementation course, experiences and achievements of some national laws have been analyzed as well. March 19 (gogo.mn) Minister of Health and Sports G.Shiilegdamba signed Result Agreements with hospital management. Over 20 health care entities such as Health Development Center, State hospitals I, II and III, National Center for Infectious Disease Research, National Trauma Research Center, National Cancer Research Center, National Center for Mental Health and aimag Regional Diagnosis Centers are operating under the Ministry of Health and Sports providing health care services to the public nationwide. The Result Agreement covers issues such as implementation of rational planning, development of the human resources in accordance with the demand, ensuring of the operations within the legislation and eliminating the conflict of interest, proper use of budget funds and implementation of leadership. Minister of Health and Sports emphasized that although health sector faces issues and current economic downturn is not bettering health care service providers need to cooperate as the population expectation is high and called the health professionals to work free of political influence. Moreover he warned the hospital and health center management to keep the continuity and bettering the health care services at all levels. Ulaanbaatar, March 19 (MONTSAME) State Commission in charge of the rehabilitation of the politically repressed met March 18. According to its report, a total of 31 thous.193 people were rehabilitated in 1939-2014 out of the unofficially claimed 36 thousand victims of political repressions of late 1930s. The head of the commission L.Tsog introduced new members and delivered congratulations on the Mongolian Soldiers' Day. In 2014, the Supreme Court of Mongolia exonerated 21 people, the Prosecutor-General's Office–nine, informed a secretary of the commission D.Dambasuren. From this year's beginning until now, the Prosecutor-General rehabilitated two politically repressed, he added. Cash compensations of 500 thousand or one million Togrog for the repressed and their families have been given to 18,081 people, totaling 16 billion 290 million Togrog, since 1998. In 2014, the compensations of 42.5 million were given to 45, and this year--11 million to 12 repressed or his/her children, grandchildren, sisters or brothers. A vice-speaker of parliament and chairman of the State Commission L.Tsog reminded the members that they must focus on reviewing the draft amendment to the related law and on the budgetary issues for the rehabilitation. The Commission should pay more attention to intensifying the activities of the local branches in order to run additional studies to discover unreported cases of the repressed. The Commission also exchanged views on the issues of focus in case of the adoption of the draft amendments to the Law on Rehabilitation for the Politically Repressed and their Compensation. 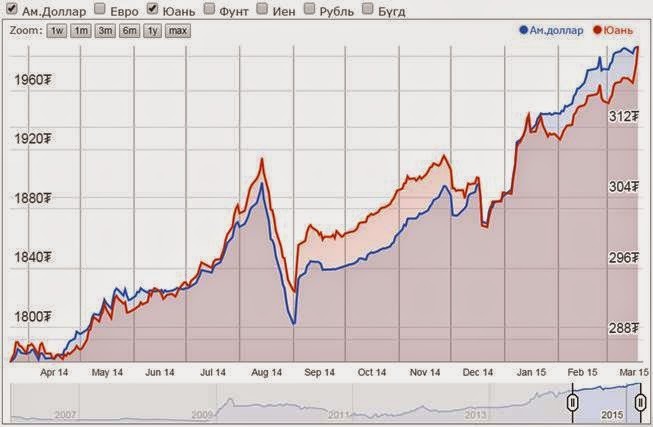 March 18 (International Financial Law Review) Mongolia's B+ rating is threatened because it lacks access to external liquidity, according to Fitch Ratings. Improving its FDI regime would help. 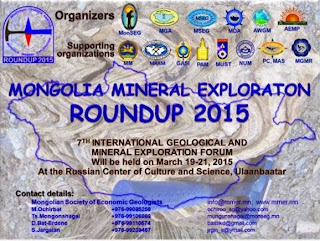 Three years ago Mongolia was a frontier favourite due to its natural resources potential. The country even sold bonds – one $580 million offering by state-owned Development Bank of Mongolia (DBM) in 2012 and a $1.5 billion 2012 sovereign offering split into a five-year and ten-year tranche. March 16 (UB Post) When I worked as a deputy director for Juulchin Company, I used to attend ITB Berlin, a tourism trade fair. Twenty years later, as I entered the familiar grounds of ITB Berlin, I noticed a huge, 15-panel Mongolian ger that would not escape one's attention. Also, it appeared that the exterior walls of the fair's main building were decorated with pictures of Mongolia's landscapes, Gobi, and camels. The word "Mongolia" was printed in blue, using traditional patterns, on the doors of taxis driving on the streets. It could be seen that Berlin was breathing Mongolia. After entering through the main gate, I was greeted by Mongolian ladies wearing traditional deel and hats, while a photo of an airplane from Mongolian Airlines (MIAT) was hanging above them, between 5-story-tall escalators. The trade fair covered an area of 160,000 square meters in total. There was Mongolia's section, where tourism agencies and companies showcased their services, not far from which was a cafeteria that served traditional Mongolian meals. It was the first time that Mongolia took part in ITB Berlin as an official partner country, and the trade fair opened very impressively by presenting art performances to an audience of 4,000 people. A lot of hearts were drawn to Mongolia. Also, President Elbegdorj personally invited everyone to visit Mongolia with his warm-toned speech. The long-awaited promotion of Mongolia was finally successful. It prompted a journalist to note, "It grew wings for Mongolia's tourism industry." The advertising of Mongolia was done superbly, but also expensively. Prior to the trade fair, a lot of money was also spent on attracting tourists through advertisements on CNN and National Geographic. However, are we ready to receive one million tourists this summer, as mentioned by D.Oyunkhorol, the minister in charge of tourism? Have we had another look at the services and products we offer? Mongolia's tour operators, both domestic and foreign, note that it is difficult to answer those questions. We need to come back down to earth, objectively review the state of our tourism industry, and make improvements without wasting time. Marketing is essential to increasing business profits. The four Ps of marketing are: product, price, promotion, and placement. If a product has low quality, bad appearance, and is expensive, it fails to sell well regardless of its quality of promotion and placement In tourism, it discourages tourists from revisiting the travel destination in the future. In countries where the tourism industry is mature and well-developed, visitors take their time before leaving, visit again, and urge others to do the same. In terms of location and placement, Mongolia has beautiful nature with tall mountains, vast steppe, freshwater lakes and rivers, rich history, unique nomadic culture, great heritage of traditional long songs and khuumii, and hospitable people. However, in terms of product, which is tourist services in our case, Mongolia has many issues that have not been addressed for many years. It continues to diminish the competitiveness of this industry. The cost of airfare travel to Mongolia is vastly different than what was advertised. The same goes for the availability of local flights in Mongolia, which is the 17th largest country in the world. MIAT, which has a monopoly, is a state-owned company. However, in reality, MIAT belongs to the whichever political party has ruling power, and is an airline that is referred to as the "national carrier", but does not even do local flights. Furthermore, MIAT neglects marketing, runs deficits on almost every flight route they have, and brings down competitors unfairly. The availability of hotels and travel camps in Mongolia are as unpredictable as our spring weather. Most of them close down after the high season of the summer months, before achieving a steady state of operation. Families living in Ulaanbaatar are allowed to receive paying customers in their spare bedrooms. There are no standards of class in the services of hotels, tourist camps, and catering places. There are dozens of associations that say a lot but do not do anything, and a ministry overseeing the industry that has operated for no longer than two years. The products and services offered by Mongolia's tour operators barely differ from each other. Tour guides and translators have insufficient knowledge and experience. Transportation companies and hotels do not see the difference between these tour operators, which is why they stopped offering price reductions for tour groups. There is basically no difference between booking accommodations online and staying without prior booking. If one hundred people come and stay together, the price is hardly different. There is almost no variance between how much groups and individuals pay. Tour operators do not offer sales until the summer comes. Therefore, it is impossible to bring a lot of tourists in large groups to Mongolia during the summer because they make their plans in advance. That is why individual tourists are seen a lot in Mongolia, and what they contribute to our economy is considerably less than that of groups of tourists. Mongolia's entertainment income is still at a point where it is not significantly influenced by tourists. Mongolia's tourism statistics do not even differentiate between tourists and other visitors. It is estimated that 460,000 "tourists" came to Mongolia in 2014. However, 80 percent were business people, or those who came to attend conferences, and only 20 percent were tourists. Foreign tourists are constantly intimidated and ripped off in Ulaanbaatar. The transportation service, including buses and taxis, are not in English, whereas traffic lights seem to work against pedestrians. There are almost no road signs or maps in the countryside. The government needs to implement its national program to develop tourism along with plans for sustainable tourism and special interest tourism. Key performance indicators must be set and the implementation needs to be constantly monitored for improvement. If we manage to ensure proper infrastructure including domestic and international flights, implement operational standards for hotels, tourist camps, and tourist guides, and allow free competition, Mongolia's tourism industry will be more competitive and it will be able to reduce its seasonal dependency. As Mongolia is a landlocked country, our tourism industry relies on how many tourists we can bring inside the country on airplanes. Therefore, as seen in the success stories of other countries, an open skies policy, which allows any aviation company to fly their planes across a country's skies, should be the way forward. Only then will the cost of airfare for traveling to Mongolia decrease and hundreds of thousands tourists will choose Mongolia as their destination. It will greatly contribute to the development of services provided to tourists. Although the good promotion gave wings to Mongolia's tourism industry, it is important to be critical of the current situation. By doing so, it will be an important step to making Mongolia one of the world's top destinations and increase the number of tourists. Even a bird has to come back down to earth. March 19 (EBRD) The EBRD President, Sir Suma Chakrabarti, is visiting Mongolia on 20 March 2015. This is his second visit to the country at the helm of the European Bank for Reconstruction and Development and the first visit since the new government was formed in November 2014. Sir Suma will meet President Elbegdorj, Prime Minister Saikhanbileg, the Governor of the Bank of Mongolia, top ministers, private sector entrepreneurs and bankers, representatives of international financial institutions and the diplomatic community. The President will stress the importance of Mongolia and the whole of the Central Asian region to the EBRD. He will discuss ways to re-energise transition to a free market economy, and to boost reform and investment. He will also use the opportunity to introduce to the authorities the recently appointed EBRD Managing Director for Turkey and Central Asia, Natalia Khanzhenkova, who will be based at an EBRD regional hub in Istanbul. The EBRD President will also visit a client of the Bank – agribusiness company TESO – on the outskirts of Ulaanbaatar. 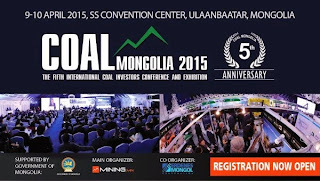 "We want to help boost growth in Mongolia. We look forward to working with the government on steps to improve the investment climate and the diversification of the economy. We would like to see Mongolia once more leading the world in economic growth, just as it did a few years ago," said Sir Suma ahead of the visit. The EBRD has so far invested over US$ 1.2 billion in Mongolia in various sectors of the economy. Central Asia as a whole has seen a growth of investment in recent years, reaching US$ 11.5 billion to date. Seoul, March 20 (Business Korea) Coffeehouse chain Caffe Bene (www.caffebene.co.kr) has opened its 5th and 6th stores in Ulan Bator, the capital of Mongolia, at the same time. With the opening, Caffe Bene has become the global coffee franchise brand with the greatest number of stores in Mongolia. With a size of about 116 m2 (35 pyeong), Caffe Bene Mongolia Bodi Tower branch is located close to Chinggis Square, a popular tourist destination in Mongolia, and the business district. In Chinggis Square, there are statues of Damdin Sukhbaatar, one of the most important figures in Mongolia's struggle for independence, and Chinggis Khan. Large events, including the largest Mongolian folklore event, the Naadam Festival, is held. Therefore, this area has a large floating population, including tourists. The Bodi Tower is a large office building where offices of major companies, including financial subsidiaries of the largest Mongolian private enterprise the Bodi Group, are located. The Caffe Bene Mongolia Twin Tower branch, the other new branch in the city, is located in the first floor of Twin Tower, which is adjacent to Mongolia's oldest theater, Tengis cinema, and many bus stops. Caffe Bene has currently completed the contract for its 10th store in the country, and it is planning to open four more stores in the first half of this year. Also, it will open a total of 20 stores by next year. An official from the company said, "The company is attracting attention in Mongolia with our extensive menu, breads and bing-soo or ice flakes with syrup, along with coffee. We are creating a new coffee culture through various local marketing, including the introduction of take-out culture." March 17 (gogo.mn) B.Javkhlanbaatar, Head of Investment Agency was ordered to hold negotiations with the investing party on the concession agreement to improve the 260 beds hospital building under Ministry of Justice property listing yesterday during the Cabinet meeting. While Minister of Industry D.Erdenebat was ordered to ensure the negotiations are in accordance with legislation and the concession agreement draft is discussed by the cabinet. The studies for the hospital deficiency have been conducted in regards with the population growth, density, availability and quality of medical services and disease occurence to improve the policy on public health services. According to the studies it has been estimated that 12 hospitals with total 2555 beds need to be constructed by 2025 in Ulaanbaatar city alone. Ulaanbaatar, March 19 (MONTSAME) The Minister of Industry D.Erdenebat has worked in Darkhan-Uul and Selenge aimags to get au fait with the activities of "Cement Lime" LLC, "Darkhan Iron Plant", "Darkhan Minj", and "Darkhan Nekhii" companies. Thanks to the technological renovation under investment of "Basement" Co.Ltd, the cement plant of Khotol became capable of providing 60 percent of the domestic consumption. Reportedly, the Plant is producing one million tons of cement, 65 thousand tons of lime and 162 Gcal of heat energy per annum. The plant authorities informed their Minister that the plant had reduced its cost by 36.4 percent by introducing a modern dry-process technology. The Plant intends to increase its production up to two million tons a year. A price of a ton of cement was 157 thousand Togrog last year and went down to 145 thousand in 2015. As for the lime plant at Khotol, Erdenet Mining Corporation (EMC) buys form the Plant cream of lime that are used in copper ore procession. The lime plant has not seen any technological renovation in the last 30 years and needs better power management, said the authorities. The Darkhan Iron Plant, capable of producing 100 thousand tons per annum (TPA), is producing 80 thousand tons a year. They have agreed to supply their products to EMC, starting in 2016. The prices of Mongolian and Chinese steel frames are same, said the plant authorities, but "ours is better in quality". They said that the scrap iron sources are becoming scarce in the recent years, and added that they are ready to cooperate with domestic construction companies. "Darkhan Minj" company's processing factory has an annual capability of processing 350 thousand sheepskin, and producing 20-35 thousand sheepskin winter coats and other clothing. The factory supplies good-quality standard winter clothing for the staff of military, police, court, border protection services and for environmental keepers. The company made comprehensive technological renovation in 2008, introducing Italian, German and Korean technologies. It also made exports with a total value of 200-300 million MNT through pedlary. The authorities say that they have inked a Trade Agreement with Manchuria that is to be in force starting next month. The company released line of boots named "Eeten" (Upturned) and marketed 5,000 pairs. "Darkhan Minj" conducts 70-80 percent of its production inside the borders. As for "Darkhan Nekhii" company, it has been seeing 60 percent annual production growth since 2013. The company exports Mongolian leather shoes and bags to the European market, and paid taxes of 1.2 billion MNT last year. March 19 (infomongolia.com) On March 19, 2015, the Ministry of Industry of Mongolia reviewed the ongoing implementation process of the Mongolia-Japan Economic Partnership Agreement (EPA) signed in Tokyo by Prime Ministers Ch.Saikhanbileg and Shinzo Abe on February 10, 2015. Shortly after in February 2015, the State Great Khural (Parliament) ratified the Mongolia-Japan EPA, which was mutually discussed for over three years and now the Japanese Parliament arranges to approve the Japan-Mongolia EPA in May 2015, and after inking the Note of Exchanges between the Government authorities of the two countries, the Economic Partnership Agreement will be finally entry into force. This is the first EPA for Mongolia and the 15th for Japan that opens a new historical page between the two countries since the establishment of diplomatic relations inked back in 1972. Under the document, Japan and Mongolia agree to boost the cooperation not only in economic spheres, but also to intensify the Strategic Partnership between the two states. Below, the list of products and goods to be freed from customs duties following the EPA effectiveness. 1. Sewn, knitted, wool and cashmere products. The current 8-11% of customs duties will be exempted as soon as the Mongolia-Japan EPA entries into force. 2. Leather shoes, fur products, leather handbags & wallets. The approx. 20% tax will be reduced gradually up to zero-rate. 3. Mining products such as steel, iron and ferrous goods. The 3% tax will be zeroed and on some products reduced gradually. 4. Processed meat products. The approx. 10% tax will be zero-rated depending on quantities. 5. Dairy products. The 25-40% taxes will be zero-rated depending on quantities. 6. Pasta and bakery products. The 5-20% taxes will be zero-rated depending on quantities. 7. Alcoholic beverages (vodka and wine) and others such as fruit drinks and jams. The 16-25% taxes will be zero-rated instantly. 8. Vegetables. The 3-12% taxes will be reduced gradually up to zero. 1. Vehicles and auto parts. The customs duties will be solely annulled for new vehicles or up to three-year old from the date of manufacture with engine size less than or equal to 4,500 cc as soon as the Mongolia-Japan EPA entries into force. 2. Machinery. Mainly for construction utilization such as bulldozer and other equipment or parts will be exempted from customs duties gradually within the period of 10 years. 3. Agricultural products such as cut flowers, fruits, berries and soy sauce. Customs taxes will be zeroed or reduced partially depending on items. 4. Sake or rice wine and distilled liquor. The customs taxes will be exempted as soon as the Mongolia-Japan EPA entries into force. To note, the above list of products and goods is described as major products to be freed from customs duties and the Economic Partnership Agreement between Mongolia and Japan includes about 9,300 types of products and goods to import from Japan, contrary, Mongolia to export about 5,700 types of products to Japan. Consequently, as soon as the Mongolia-Japan EPA entries into force, parties will export / import above products and goods under tax free or to reduce to zero-rate gradually within the period of 10 years according to the World Customs Organization (WCO) Harmonized Commodity Description and Coding System (HS) classifications. March 19 (infomongolia.com) Mongolian National Chamber of Commerce and Industry (MNCCI) will be organizing a number of working meetings with Russian companies interested to enter Mongolia economic market. On March 24, 2015, representatives from "BuryatMyasProm" LLC (BMP), one of the largest meat-processing enterprises in Russia since 1937, will be visiting the MNCCI headquarter in Ulaanbaatar to seek collaboration issues on importing horse and beef meat and meat products from Mongolia. At the meeting scheduled at 02:00 pm, Buryat delegates will be headed by the Deputy of the General Director on the General Questions at BMP LLC, Mrs. L.N.Krutijan and Deputy Minister for Food and Agriculture of the Republic of Buryatia, Mrs. Yu.G.Dagdanova. On March 26, 2015, the MNCCI and the Association of Siberia to Promote Business and Cultural Cooperation with Foreign Countries from Novosibirsk Oblast of the Russian Federation are organizing Mongolia-Russia Business Meeting at the MNCCI headquarter in Ulaanbaatar at 10:00 am. On April 01-04, 2015, Russian delegation headed by Governor of Sverdlovsk Region will be paying a working visit to Mongolia and in the frameworks, the MNCCI is also to host a bilateral Business Meeting with representatives of Ural Chamber of Commerce and Industry at 10:00 am on April 02, 2015. March 16 (UB Post) Chinggis Land Development Group was selected as coordinator for the 1,000 km Altanbulag-Ulaanbaatar-Zamiin-Uud highway construction project, which is planned to be completed by October 2015. Below is an interview with CEO of Chinggis Land Development Group D.Amarbayasgalan about the progress of the project. The 1,000 km Altanbulag-Ulaanbaatar-Zamiin-Uud highway road project has been discussed for a long time. How is the project progressing? Big projects require a considerable amount of time to be completed. Mongolia began Oyu Tolgoi and Tavan Tolgoi projects after several years of planning. Yet, they still haven't reached the level to what was aimed. These big projects aren't easy. Initially in 2004, 23 countries of the United Nations Economic and Social Commission for Asia and the Pacific joined together and developed a plan for the Asian Highway Network. Asian Highway-3 network passes through Mongolia. Our group, Chinggis Land Development, initiated this 1,000 km highway road project five years ago and began research. The government approved the project in 2011 and enlisted it in the concession projects list, and announced a tender. Our group established a consortium based on our previous studies and participated in the tender. Bidding documents were developed with many internationally renowned consulting companies. In 2012, our group won the tender, and undertook the project. Since then, many things have been completed. Currently, we're making road schemes. So this highway is part of the Asian Highway Network. How supportive are Mongolia's neighboring countries on this project? The world is globalizing. From this aspect, Mongolia is said to have limited relations for economic development because it's a land-locked country. But from another aspect, our two neighboring countries are extremely large markets, as big as the ocean. Mongolia's development is progressing in relation to Russia and China's economic growth and foreign trade. Transit transportation is vital for foreign trade. China is opening many channels for outbound communications. For instance, China is reviving Silk Road. As for Russia, it is focusing on developing foreign trade with China. Estimations made by China shows that by 2020, foreign trade between Russia and China will expand to 100 billion USD. The shortest transit road for resolving these interests is obviously a road passing across Mongolia. Hence, the state head of Mongolia proposed cooperation on the Steppe Road Project to the state heads of Russia and China. The government established a concessional agreement with Chinggis Land Development Group on March 9, 2014. Can you clarify on the contents of the concessional agreement? There are many different types of concessional agreements. We agreed to a build-operate-transfer condition. Our group is raising investment and constructing the road ourselves. We will utilize the road for 30 years and then transfer it to the state. Will the government be providing any support? The government will not give a single penny in investment. The government hasn't approved a single penny. Concessional agreements are for managing investment from the private sector for projects that the government can't provide direct investment for. Therefore, investors in the concession agreement and concessionaire companies have to take all responsibilities and shoulder risks. The government isn't put under any pressure or burden. Since the government is defined as a party in the concessional agreement, support from policy and state regulatory agencies are necessary. Can it be interpreted that the government will not show support at all? Not exactly. The government is cooperating on this project by partnering with the private sector. The government has certain roles and are providing support according to the agreement. The support of the government ministries and agencies for this project is very significant to the society and economy. It's rather difficult to attract investors for mega projects like this, especially with the current relation with foreign investors and their understanding of Mongolia. 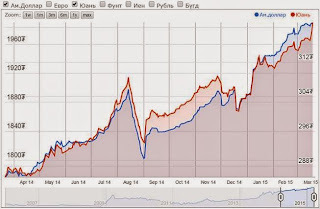 Investors say that Mongolia has an unfavorable investing environment. 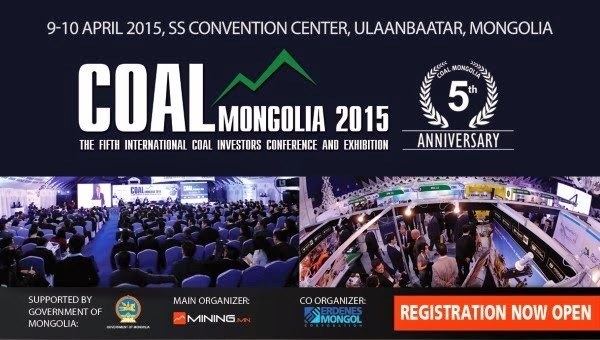 The government, private sector, and Mongolia's three million citizens should all unite to attract investors. Foreigners perceive all previous achievements and losses of the people and companies as Mongolia's. Mongolians shouldn't taint the reputation of the country, but become one big team. How much investment is necessary for executing this project? How is Chinggis Land Development Group generating its investments? Along the 1,000 km Altanbulag-Ulaanbaatar-Zamiin-Uud highway, many services, trade ventures, resorts, tourism and business complexes, as well as new apartment complexes and eco-towns will be built. Most importantly, large trade and logistics centers will be established in Altanbulag in Selenge Province, Zamiin-Uud in Dornogovi Province, and Khushing Khundii Valley in Tuv Province. According to preliminary estimations, an investment of approximately 10 to 12 billion USD is required for these projects. Around 60 to 70 percent of the investment will be used for road construction and the rest will be used for construction works along the road. Evidently, our group is raising funds from international investment funds, banks and financial organizations, thanks to our long history of cooperation with them. Presently, the first stage of the investment is ready to be transferred, and we're waiting. What do you mean by "waiting"? As I've said before, drawing investment isn't an easy task, especially for large projects like the 1,000 km highway project. International investment funds have to take into account many conditions. For example, they particularly focus on the political stability of the country. However, Mongolia's political situation was unstable since last year's spring and finally, the government resigned last October. It took several months to found a new government. Not to mention that the Ministry of Economic Development, which established agreements with our company on behalf of the government, was liquidated. Investment funds that we were supposed to have final negotiations with for the feasibility studies have now transferred us to their waiting lists. At last, government operations are becoming stable as the government established the Ministry of Industry and a ministry to manage concession projects. Will you start work as soon as investments for the project flow in? That's right. We're forecasting that our road construction work will have started by May. In the past, we've done preparation works very well. We determined road routes and lanes with involvement of internationally recognized Italian, French, Chinese and Russian consulting companies, and had the Council for Science and Technology in the road sector of the Ministry of Roads and Transportation review and approve the routes and detailed feasibility studies. In general, a minimum of nine months is required for developing feasibility studies for this sort of mega project. Currently, we're doing geotechnical and geodetic basic studies. Overall, we plan to finish construction and utilize the highway by early 2018. It seems that the group will be overloaded with work. How many employees will work on this project and how many workplaces will be made available? It's a biggest development project in Mongolian history. During the construction of the highway, 30,000 to 40,000 jobs will become available. Hundreds of companies and businesses will flourish through this. The highway will be build consistent to international standards. Therefore, employees will receive wages equivalent to global wage amounts. If Mongolians receive adequate salary, they will most likely work better than foreigners. Mongolians are quick to learn. By completing the highway, how will the Mongolian economy benefit? Chinggis Land Development Group is doing research and estimations for a number of mega projects. This highway project is the smallest. It can't be seen as just a road. This highway will become the basic infrastructure for many major business projects. The road will be significant for developing free trade zones, and establishing trade, transportation and logistics network. As I've mentioned, an investment of 10 to 12 billion USD is required for the project, according to preliminary estimations. This means that this amount of money will circulate on top of Mongolia's 10 billion USD economy. Just imagine an investment equivalent to Mongolia's GDP flowing into Mongolia. Our group has estimated that the GDP per capita will multiply by several folds when the road becomes operational in 2018. The required budget will become more accurate once the schematics are completed. Furthermore, this project is more of a social project than an economic one. Constructing the highway and recovering investment will take a long time. Even so, our group began this project with enthusiasm as it will become a very important road for Mongolia. We're executing the project only for Mongolia's benefit. I'm confident that the highway will become an infrastructure that'll intensify and boost thousands of businesses. March 17 (gogo.mn) 13 floor building at the 1st khoroo of Khan-Uul district has been built near apartments 14 and 15, covering the windows of 10 households in two buildings. Residents of the apartments have been complaining raising cases at courts since 2006 as the foundations for the construction had been laid, thou with no positive results at all. The construction work has escalated quickly to the phase of the interior works and no permission was granted for any operations as the construction was built without any permission. The construction belongs to Adore Properties LLC and was intended for hotel and services use. C block or the extension of this 13 floor building was built in between the apartments 14 and 15 and the order of Capital City Governor to demolish it was granted on January 17th of 2011. The demolishing of the C block has started on March 11th this year by Tod Bum Construction. Representatives of Tod Bum Construction said that they have been contracted to demolish 2 storey extension only and it might take extra 10 days from the deadline. They have notified that they are not sure if the 13 floor building will be demolished. We have contacted Mr Bayanbat, Media officer at Capital City Property Relations Department to clarify on this matter. According to the officer the demolishing order was issued back in 2011 and due to the lack of funds Adore Properties LLC could not demolish the construction of the block C and the demolishing issue of the 13 floor construction is to be discussed at court. Resident of 15th apartment 15 have answered our questions. -Where your windows are facing? -Two to South and one to West. We had plenty of sunshine during the day and evening. SInce this construction was built we could hardly ever see any sunlight. Moreover, our apartment has become very dark and cold. -When was this 13 floor building constructed? -Construction started in 2006 and proceeded for 2-3 years. Since the construction works started ten households have been raising cases in courts. The land permission for construction was voided by Supreme Court in 2012. Since that time no actions were taken. -Does it mean since then no additional works to the building have been done? -Yes. Demolishing order has not been implemented. -According to the demolishing company only the extension is being taken down? -Initial court ruling ordered demolishing of the whole building. I heard that the extension is to be demolished by one company and other company will demolish the 13 floor building. -There could be accidents associated with demolishing of the 13 floor building and it might cause damages to your apartment? -It is possible. Demolishing company should do the estimates and in the case of possible damages residents should be compensated. -Hasn't the construction company approached the residents for compensations? -Not at all. I suspect that the initial company has sold the building to other. March 19 (gogo.mn) Code Patisserie & Plus which offers you French taste and French atmosphere, have opened in front of the Tuul restaurant. Even, operating for only five weeks, they already have regular customers. We are delivering the interview with David Code, owner of the Code Patisserie & Plus. He discovered Mongolia from the TV show and decided to come here and opened the first French and handmade patisserie in UB. Interestingly, decorations, architecture and furniture choice were all made by him and terrace is planned to open in June. Their chief is also from France and we appreciate them to contributing fully handmade French tastes to UBiers. Why Mongolia and how long have you been here? I have been in Mongolia for six months. I have chosen to come, live and open this French pastry after thinking and luck. I am an expatriate in the French cuisine for over 20 years. During all these years, I have had the chance to meet and work for the pioneers of the profession in Europe, US, Africa, Asia or the most remote islands in the world, French men and women trying to deliver the flavors and tastes of our country to the world. When I decided to open my own restaurant, my first reaction was to do it in a country that I already knew, but I could not decide myself, there was something in these choices as "Deja Vu" and no particular excitement. February 2014, I was watching a show on the French international chain that was talking about French expatriers in different countries of the world including Mongolia. I was immediately interested in this country that I did not know and decided to come realize by myself. I first came in April for a month to discover Ulaanbaatar, initially with the idea of opening a French bistro. After a few days I had taken the charm of this city, I tried to figure out where I could bring something new and when I realized that there was no Patisserie Francaise, I contacted one of my best friends to expose the project. He was under contract for few more months, he agreed to come with me. I arrived here in October and Benoit came to join me later. Was it hard to start business in UB? I do not think so. Mongolia is not as much difficult than other countries that I have known. As an immigrant, it`s up to me to adapt to the country that I chose, it is besides all interest, otherwise I would have stayed in my own country. More about CODE? How is it doing? After five weeks of opening, CODE is doing better. We had a lot of problems due to our departing, opening delay was very short. After finding the local and organized its acquisition in mid-December, I had designed the layout and the large decorative lines in a week. I went to buy pastry materials and chose all the furniture, decoration and all necessary things for opening to China for four days on December 25, more than ever to instinct. I left early in January to organize the transportation of purchases to Ulaanbaatar. Back here, the local work began on January 6. This was followed by personal research and training, which only lasted a week before the opening. CODE was opened on February 12th. We were not quite ready, but we try every day to do a little better than the previous days with the goal of improving ourselves. That was my decision to open as soon as possible and I take responsibility for all the problems that occurred at the opening. How do you find running business in Mongolia? The difficulty we encounter in daily basis comes from my own decision and objectives. I want to offer a wide range of cakes and products from my country according to artisanal and traditional methods. This can only be done with some very specific ingredients. We have problems in finding these products, which are either not present on the Mongolian market or so in very small quantities. We have to adopt every day because it is important to me that people`s expectations who choose to come to CODE are met. We are listening to all the comments made and try to ensure they are as little as possible negative. But as I said previously, it is for us to adapt to the choice we made to come to Ulaanbaatar and accept all challenges. It is my sincere wish that the population of the Ulaanbaatar that has not yet had the opportunity to travel to France, therefore, resident of Ulaanbaatar can discover a little bit of France at CODE. What do you like about UB residents? Their energies and their history. The Mongolian people are a great people given historical point of the world. Today, being part of the community is a great happiness for me. Most favourite places for you to visit in UB? Since my arrival, unfortunately, I haven't had much time to discover many places. I like Triskell, the owner is one of the first French came to Mongolia, it is for this reason a true pointeer. Rosewood, Cliff is a professional kitchen, I love what he does. Moreover, Piazza restaurant, Piazza where you can eat one of the best Lamb in UB and it is located at Michelle Expo. I also discovered a few days ago a very good Japanese restaurant, Miko sushi. But I am especially delighted to visit the local Mongolian restaurant, I am a big meat eater and I always have taste for all the local dishes available. Ulaanbaatar, March 19 (MONTSAME) State Secretary of the Federal Foreign Office of Germany Mr Stephan Steinlein paid a courtesy call on the Speaker of Mongolian parliament Z.Enkhbold on March 18. The State Secretary congratulated Mr Enkhbold on the successful visit to Germany and said the bilateral relations have been developing intensively in various fields, "I hope that these ties will upgrade". "It was an important experience in our relations that Mongolian military forces participated in the 'Decisive Support' mission in Afghanistan at Germany's request. It also manifests the two countries' commitment to the global peace," said Mr Steinlein and mentioned the successful implementation of technological university project. In response, Mr Enkhbold noted that Mongolia's participation in ITB Berlin 2015 as an official partner was of great importance. The constant interactions between the two parliaments have been playing an important role in boosting the cooperation between the two legislatures, he said. Ulaanbaatar is to host the Autumn Session of the OSCE Parliamentary Assembly this September and the ASEM Summit in 2016, added the Speaker. "Last year, the 25th anniversary of Germany's unification as the Berlin Wall was brought down with the beginning of Mongolia's democratic revolution, the disruption of Berlin wall itself one of the important calls for Mongolian people to start the revolution," he said. The Speaker also mentioned about visa exemption as a factor for developing more effective economic cooperation between the two countries. "We have to consider exempting visas for the official- passport bearers" he suggested. Present were also the head of the Mongolia-Germany parliamentary group L.Bold, Z.Bayanselenge, Ts.Nyamdorj, L.Erdenechimeg and O.Enkhtuvshin MPs, and the Ambassador of Mongolia to Germany Ts.Bolor. Ulaanbaatar, March 19 (MONTSAME) At the invitation of Mr Bogdan Borusewicz, the Marshal of Poland's Senate, the Chairman of the State Great Khural (parliament) Z.Enkhbold has started his official visit to Poland. Within the visit to the country until March 21, our Speaker will hold talks with Mr Bogdan Borusewicz, the Marshal of Poland's Senate, and with Mr Radosław Sikorski, the Marshal of the Sejm (Lower house of parliament). He will receive Mr Janusz Piechociński, Poland's Deputy PM and Minister of Economy, and Mr Grzegorz Schetyna, the Minister of Foreign Affairs. He also plans to meet students and teachers of the Department of Turkic and Middle Asian Studies at the Universityof Warsaw, and Mongolian people residing in Poland. Mr Enkhbold will lay wreaths to the Monument to the fallen Shipyard Workers 1970 and leg the Center of European Solidarity after attending an exhibition called "Our solidarity is together with Mongolians". A cooperation protocol between the Offices of the legislative bodies will be signed by B.Boldbaatar, the secretary-general of the Parliamentary Office, and by Lech Czapla, the Secretary General of the Sejm. March 19 (gogo.mn) Minister of Food and Agriculture R.Burmaa received representatives of the Export Development Canada headed by Mr Leonid Eliseev, Manager in charge of the Russian and Mongolian markets. At the beginning of the Minister R.Burmaa emphasized on the expanding interest of Mongolian farmers in farming equipment from Canada and noted that the financial services and investments in agriculture sector is one of the opportunities for Mongolian farmers to expand their operations. Moreover, minister mentioned that no significant activities have been done since the signing of the MOU between the countries at the ministerial level, where both sides agreed to proceed with intensifying of the cooperation. Mr Leonid Eliseev, Manager in charge of the Russian and Mongolian markets emphasized on opportunities of cooperation especially in agriculture and mining sector as these are more convenient to expand in regards with weather conditions and economic structure. Also both sides exchanged views on further cooperation to expand Canadian export into the country. March 17 (infomongolia.com) A group from Mongolian Authority for Fair Competition and Consumer Protection headed by Chairman T.Ayursaikhan is conducting a working visit to Inner Mongolia and on Monday, March 15th, Chairman T.Ayursaikhan held a bilateral meeting with Chairman of Erenhot (Ereen Khot, Erlian) City Administrative Bureau for Industry and Commerce, Yu Hong Li. During the meeting, the sides signed a Memorandum of Understanding on Cooperation and in the frameworks of the document, parties agreed to jointly implement the legal frameworks under the Law on Fair Competition that effective on the territory of all 21 border ports bordering with China, moreover, to improve monitoring on seizing counterfeit goods and products. On the same day, upon citizens request that some state medals and orders of Mongolia are being sold in "Zeel" Market in Inner Mongolia, inspectors of Mongolian Authority for Fair Competition and Consumer Protection jointly investigated the situation on the site and found that dozens of ID cards referred to Frontier Servant in Educational, Physical Culture, Sports and Construction Sectors of Mongolia, as well as Court Decision Department's ID card and numbers of badges belong to state organs were being sold. Consequently, inspectors of the two parties examined the case and after reviewing agreed to close the counter and further to stop such trading. Moreover, Mongolian Authority for Fair Competition and Consumer Protection opened its Office in Zamyn-Uud Sum of Dornogovi Aimag that borders with Erenhot, Inner Mongolia, China and the two sides launched a hotline telephone numbers of (+86) 479 12315 (Erenhot City Administrative Bureau) and (+86) 479 753-3315 (Mongolian-speaking inspectors) to receive complaints or requests. Ulaanbaatar, March 19 (MONTSAME) In frames participation in the UN World Conference on Disaster Risk Reduction of 2015 held March 14-18 in Sendai of Japan, the Deputy Premier of Mongolia U.Khurelsukh has met Mr Li Liguo, China's Minister of Civil Affairs. Mr Khurelsukh said there are many works to be done for combating disasters and abolishing their aftermath together with neighbor countries. It is important to abolish damages after disasters or to strengthen capabilities of urgent medical aid and rescue, but it more vital to prevent disasters, ensure a readiness, improve public knowledge about protection against disasters, to reduce risks, and eventually to lessen losses, he said. 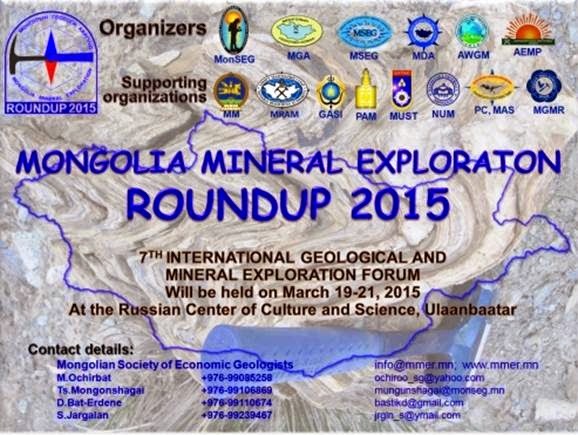 Mongolia intends to have an international middle-class team of finding and rescuing in near future, he went on. Mongolia wants to expand the ties and cooperation between the emergency bodies and to exchange experts. Mongolia and China established an intergovernmental agreement on combating forest and steppe fires in 1999. In accordance with it, the emergency bodies of the countries and organizations combating fires have been cooperating, for example, the fight against forest and steppe fires occurred in 2009 and 2010 in Khalkh Gol protected area of Mongolia was attended by some 200 servicemen of the anti-forest and steppe fires units of Khyangan and Shiliin gol provinces of China's Inner Mongolia. Ulaanbaatar, March 19 (MONTSAME) The representatives of the Presidential Advisory Board of the Republic of the Union of Myanmar, who are visiting Mongolia, were received Thursday at the President's Office. They expressed an interest in history and experiences of the 90's democratic revolution in Mongolia, current situation, legal environment and methods to fight drugs. Present were the Chief of Staff of the President's Office P.Tsagaan, Citizen's Participation and Economic Policy Advisor to the President L.Dashdorj, Human Rights and Legal Policy Advisor Ch.Unurbayar, Deputy Chief of Staff B.Togtokhbuyan and the head of Press and Communications Division P.Sainbileg. The guests included Chief Political Advisor to the President Ko Ko Hlaing, Legal Advisors Sit Aye, Khin Myo Myint, Political Advisors Nay Zin Latt, Than Swe, Economic Policy Advisory Sein Hla Bo and other officials. Mr Tsagaan noted that Mongolia made both political and economic transitions peacefully 25 years ago and now Mongolia combines electoral democracy with the direct democracy. Ch.Unurbayar spoke about he legal reforms, while L.Dashdorj highlighted a civil participation, activities of citizen's chambers and direct democracy. After this, the guests got acquainted with the Citizen's Chamber at the State House. April 1972 (Foreign Affairs) In November 1920, after Bolshevik armies had smashed White Russian forces in eastern Siberia, three young Mongolians went to Moscow to ask help against the recently reimposed Chinese control of Outer Mongolia. Vladimir I. Lenin received them. He advised them that the Soviets would help establish a separate state of Mongolia and it should be a Marxist one. "With the aid of the proletariat of advanced countries," Lenin had recently told the Comintern and paraphrased to his visitors, "backward countries may make the transition to the Soviet system and ... to Communism, bypassing the capitalist stage of development." Few places were more backward than Outer Mongolia, or less touched by capitalism. Once a remote province of China, it had been allowed to fall into decay after modern firearms reduced the importance of its mounted warriors to the Manchu empire. Chinese merchants, living in the nearest thing Mongolia had to a city, the monastery settlement at Urga, and traveling among the herdsmen, provided the only commercial interests in a practically self-sufficient, low-level subsistence economy. Most Mongolians, who totaled perhaps 550,000 sharing more than 600,000 square miles with some 100,000 Chinese settlers, lived from the livestock that they followed in seasonal migrations, fearing the blizzards and pasture icing that every four years or so cut back the herds' natural increase and sometimes brought famine to men and beasts. Some 40,000 men were directed to the monastic life. Since Tibetan Buddhism was established in Mongolia in the sixteenth century the lives of lamas and laymen had changed little. Neither modern medicine nor modern agriculture had penetrated the roadless range. Diseases were rife and life short, but malnutrition was not a problem. Some travelers thought the nomadic Mongolians more prosperous than the average Chinese farmer, but it was a rugged life based on an economic pattern established before the time of Genghis Khan, seven centuries earlier. A Russian traveler, Ivan M. Maisky, found "a decay-fostering spirit of resignation and indifference." The contrast with the Mongolian People's Republic of today is sharp. The 1,230,000 people still live simple and often rugged lives, close to the bleak weather and the inhospitable soil, but they are healthy, well doctored and, by the standards of less developed countries, fairly prosperous. The change is the result of "the aid of the proletariat" of the Soviet Union to what is probably a far greater extent than Lenin envisaged. Mongolia has bypassed capitalism and entered the modern world not by the sacrifice of domestic savings, for there has never been much margin above consumption needs to save, but by outside aid. It now leads other developing countries by a wide margin in per capita aid received. In its fourth five-year economic development plan, 1966-70, aid was about $220 a year for each person, compared with an average $4.20 in the late 1960s for 80 noncommunist aid-recipient countries and the $36 of U. S. economic aid for each South Vietnamese citizen in 1970. Only France's aid to some of its former colonies in Africa came close to the per capita aid of the Soviet Union and Eastern Europe to Mongolia. The Soviet Union has received in return political loyalty from Mongolia, but it has failed to get the small economic payments that it asked. Although details have not been made public, it appears that Mongolia has been unable in recent years to fulfill agreements to supply meat and other livestock products for the Soviet Far East. This failure has contributed to the general shortage of meat in the Soviet Union, one of the more noticeable shortcomings of the Brezhnev leadership's efforts to improve living conditions. Ulaanbaatar, March 19 (MONTSAME) A group of 17 Harvard students who are travelling through 15-17 countries in a purpose of increasing their knowledge about the world started their visit to Mongolia from a meeting with the Minister of Environment, Green Development and Tourism Ms D.Oyunkhorol on March 18. Mongolia has been included in the Harvard travel plan for the first time this year. The group led by Professor Samuel Hungsoo Kim, a research scholar at the Asia Center in Harvard University, includes students from the USA, China, Brazil, Australia, Japan, Libya, Ecuador and a Mongolian Batnairamdal, who studies in Business School of Harvard. The Minister said she was very grateful that a group of international students who study in the prestigious university came together to visit Mongolia. "Our country has kept until today its unique nomadic traditions, hospitality and the pristine landscape. You have arrived in Mongolia in times of treat to its nature with a purpose to commercialize the mineral riches," she said. A representative of the students said they wanted to come to Mongolia since long ago, and intended to meet with the leaders at decision-making level in order to have clearer picture about Mongolia's economy. As Asia takes an important place in today's world and Mongolia catches the eyes of the globe, said the students, Mongolia has an abundance of opportunity to develop. March 18 (USA Today) The Earth just had its warmest winter on record, the National Oceanic and Atmospheric Administration announced Wednesday. Winter is defined as the months of December, January and February in the Northern Hemisphere, and 90% of the world's population lives in the Northern Hemisphere. Those months are summer in the Southern Hemisphere. Specifically, the Northern Hemisphere had its warmest winter on record, and the Southern Hemisphere had its fourth-warmest summer. It's also the warmest year-to-date on record, NOAA said. February itself was the second-warmest February on record. Temperatures for December–February beat the previous winter record in 2007 by 0.05 degrees, NOAA's National Climatic Data Center reported. Global temperature records go back to 1880. One of the planet's only land areas that had a cooler-than-average winter was eastern North America, which includes the eastern United States and eastern Canada. Areas that saw record warmth those three months include the western U.S. and part of central Siberia and eastern Mongolia. A separate global temperature measurement from NASA's Goddard Institute for Space Studies, released Tuesday, said it was the second-warmest winter on record for those three months. Some of the warmer-than-average temperatures over the winter are because of a nascent El Niño —- a climate pattern when warm sea-surface temperatures in the Pacific influence weather around the world. The warming effects El Niño increase the chances that this year could end up being the warmest on record — beating out the 2014 record. March 17 (gogo.mn) Solar eclipse on March 20 can be seen in Central and Western regions of Mongolia. Interestingly, total solar eclipse was visible in Central region (Darkhan-Uul aimag) in 1997, Khuvsgul aimag in 2006 and Western region (Bayan-Ulgii and Khovd aimags) in 2008. In 2063, total solar eclipse will occur in Southern region of Mongolia especially, in Umnugobi aimag. This year, two partial eclipses will occur in Mongolia. On March 20, solar eclipse event will be the first and the second solar eclipse event will occur on September 13. March 19 (gogo.mn) Dubai has hosted the International Paralympic Committee Powerlifting World Cup 2015. E.Sodnompeljee, member of the National Team won silver medal at the 88 kg category at this competition. He was placed 7th last year during the World Championships held in Dubai, therefore qualifying for the Paaralympic Games of Rio de Janeiro 2016. March 16 (UB Post) Makers of Mongolian film "Roots" participated in Filmapalooza final festival for the 48 Hour Film Project, which took place at TCL Chinese Theater, Los Angeles, U.S. from February 26 to March 1. The film makers reported that "Root" won Best Acting – Child award at the festival. The winners of the 48 Hour Film Project were awarded trophies and other prizes. The winners were selected from among 4,500 films. March 17 (gogo.mn) "Talk with me" is the Star TV Mongolia's new series about life in Mongolia interviewed by Allyson Seaborn, Australian journalist and lawyer. Today, we are delivering our interview from Khuvsgul Ice Festival. Mongolia`s lake Khuvsgul Ice Festival is held annually in March, just after "Tsagaan Sar", Mongolian New Year Festival. Lake Khuvsgul is located in the pristine forests and mountains of Mongolian Northern West provinces. The festival, first held 15 years ago, takes place at night time temperature can reach below minus 35 C. Among the many activities staged on a meter thick ice, a tug of war rope match, horse sleigh races, sumo wrestling, fashion shows and of course, ice sculpting. One of the main goals of the festival is to draw people to the region in the off peak season. This can be difficult, given that lake Khuvsgul is about 400 miles from the capital city of Ulaanbaatar. Today, we have arrived by air about an hour and half fly from UB of from many days drive from capital city. From May to November lake is normally magnificent mass of water stretching 130km from Russian border down to the picturesque town of Khatgal where I am right now. Lake Khuvsgul is Mongolia`s largest and deepest lake and habited by nine species of fish. It shores are home to number of animals including ibex, bear, yak, reindeer and moose as well as over 200 hundred species of birds. March 19 (gogo.mn) Now the winter has gone (not yet, some might say, I know!) there's not many fun activities to do around Ulaanbaatar at weekends, people say. Well, how about paragliding then? Yes, you can enjoy paragliding in Ulaanbaatar! Paragliding Club in Mongolia offers paragliding classes for beginners, as well as tandem paragliding for those wishing to embark on the experience of flying. Moreover, solo flights are also available for pilots who already have practiced this exciting sport before. Flights take place every weekend at Artsat Valley near Yarmag, and veteran trainers of the club facilitate paragliding ensuring all safety measures and standards. Each weekend paragliding starts at 9am. Paragliding classes are of 2 months (all equipment will be provided by Paragliding Club Mongolia) and the fee is 400k MNT (90 hours: 30 hours in class + 60 hours practice) and you can take the class at weekends. A tandem flight costs 50k MNT (duration of 5-10 min, with an experienced pilot), and you have to book in advance. For more info about paragliding, rates etc please contact Paragliding Club of Mongolia at +976-88012123 or pgclubmongolia@gmail.com. March 11 (Time Out HK) 'Big coat, more respect' whispered my trusted guide, Borkoo, who like most Kazakhs was not one for wasting words. Before us, stood a solitary ger hut poking out of the sea of golden grass like a huge white mushroom. And, opening the tiny orange door, resplendent in wolf-skin, was Shohan, one of the Altai region's fabled eagle hunters. Perched on his arm was the most magnificent bird I had ever seen. It had been a long day. After a three-hour flight by old-school prop plane from Ulaanbaatar, I had landed in Ulgii – an end-of-the-world town in the wild west of Mongolia – with the rest of my journey consisting of a seven hour drive across the Steppe in an old Russian van (affectionately referred to by locals as a 'bukhaku' or 'loaf', on account of its shape). I quickly learnt that what these relics of Soviet engineering lacked in comfort they made up for by pretty much being able to go anywhere! And that suited me perfectly. My aim was to head into the Altai Mountains to research a new trekking route through the isolated glacial peaks that rise up from the rolling plains to form the spectacular border with China and Russia. Now comfortably plied with airag, a mildly alcoholic fermented mare's milk offered to all visiting guests, I discovered that the temporary partnership between hunter and eagle is nearly always one between the youngest son of a family and a young female bird of prey. Caught in the wild, the eagles are trained to hunt for a period of six to eight years before being released back into the wild to breed. According to my hospitable hosts, it was indeed their ancestors that had originally invented falconry and, whether this was strictly true or not, it was clear that the practice remained an enormous source of pride and a strong badge of identity for these proud nomads, where even to this day, it still stands that the more extravagant the coat, the more respected the hunter. Mongolia is a land of big blue skies and stunning landscapes; the endless perspectives impart a sense of freedom that somehow invites exploration. Hidden away, in the far western corner of the country is Altai Tavan Bogd – or 'the five saints of the Altai', which refer to the region's five tallest peaks – an untouched gem and epic backdrop to any intrepid adventurer. And so, shaking off a thick head from the night before (the airag is stronger than you think), we set off to trek into the upper reaches of Tsagan Gol, arguably the most beautiful valley in Mongolia. Our expedition consists of me, my guide, a cook and a large Bactrian camel with all our supplies strapped between its woolly humps. We are also armed with a special border permit and a gun. Fording small streams as clear as bottled water, we follow the meandering 'white river' for two days before discovering a pristine sanctuary buttressed by snowy peaks and home to ibex, red deer, argali sheep and more. The following morning, while scrambling up through the burnt-red hillside, we chance upon a small lake with patches of overturned earth clearly visible by the milky meltwater. Imprinted in the mud is the unmistakable clawed paw of the endangered Altai brown bear. Retreating to a small outcrop, we lie motionless for two hours, with only the buzzing grasshoppers disturbing the silence. And then, in the far distance, we catch a fleeting glimpse of a mother and her two cubs heading away over a spectacular ridge into the next valley. I spend the following days trekking through stunning, untouched scenery illuminated by the most mesmerising light, immersing myself in the experience and bonding with new friends. I learn that marmut, a golden-haired rodent the size of a loaf of bread, tastes like fatty lamb and was responsible for carrying bubonic plague into Europe in the 13th century while scurrying alongside Ghengis Khans' conquering armies. According to Borkoo, the ubiquitous Khan was also the reason why he had piercing blue eyes. 'Genghis travelled far and had many women' he said with a smile. The climax to the wonderful trip was almost upon us as yet another sunny day dawned. The previous afternoon we had trekked up to the nose of Potanin Glacier, the longest in Mongolia, and made camp near the only other people we had seen for a week; a team of scientists who were monitoring the effects of climate change on the huge ice sheet (alarmingly they claimed it was retreating at a rate of five metres per year). Before us, beckoning us, was Malchin Peak and a hard three-hour climb to the top. From the 4,000m summit the panorama is truly awe-inspiring. In one direction, the Siberian steppe stretches out as far as the eye can see and, in the other, endless corrugated snowy peaks – utterly clear, utterly still. Remarkably though, the Altai had one final surprise in store for us. Trekking back down the valley to rendezvous with our 'loaf', the first dark clouds we had seen all trip burst with icy rain before parting and unleashing a bright ray of sunshine that formed a full rainbow, so close that it felt as if we could reach out and touch it. And then, while rummaging through my dry bag and grabbing my camera, a herd of wild horses trotted by under the beaming, multi-coloured arc. Transfixed, it felt like we had discovered a pot of gold. 'Very lucky' said Borkoo. Adrian Bottomley is the founder of Whistling Arrow, a Hong Kong based travel consultancy specialising in adventurous trips to off the beaten path destinations in Asia. The 14-day Altai adventure trip is due to run from August 17 to 30 this year and small trekking groups will be taken along the route each time. The price for the full trip is $30,250 per person and includes the domestic flight to Ulgii, all accommodation, equipment, guides, transport and meals. Accommodation includes hotels in Ulaanbaatar, a ger-stay with the eagle hunter family and eight nights camping in the wilderness. This trek is physically challenging but well within the capability of most reasonably fit walkers. The expedition is supported by horses and camels to carry all the heavier loads. Trekkers only need to carry their small rucksacks during the day. On average, the route will require six to seven hours hiking per day and, in some parts, involves exploring uncharted territory, with only ill-defined or non-existent paths. So be prepared for some scrambling through tough terrain. For more information visit whistlingarrow.com, email adrian@whistlingarrow.com or call 2811 8892 for more details. Mongolian Airlines (miat.com) fly five direct flights a week to Ulan Bator, Mongolia's capital city, from $5,840 (inc taxes) return. March 17 (gogo.mn) Mongolian and Kazakhstan researchers joint team have done research in the Red Fort Dust Bumbagar memorial located in Bayan Nuur soum of Bulgan aimag in 2011. <! [if !supportLists]>· <! [endif]>Ground dump on top of the tomb. Corridor of the tomb is 43 m long and the tomb locates 7.5 m deep underground. Corridor walls have been painted with 30 paintings. Ground walls have been flattened with 0.5 cm thick batter made with grass and yellow mud, with adding another layer of liquid lime. The paint used were made of mud and colors used were red, black and blue. Wall painting features 24 people, 1 white tiger, 1 blue dragon, 2 horses, 1 dog, 2 flags and 7 trees. It is estimated that there were at least two painters. People, horses, dogs, temple and birds have been painted with care and none of those are similar to each other. Faces and clothes of the people described are all different. This wall painting is the rare heritage of the nomads depicting the artistic interpretation of their world view. Before this finding the Asian wall paintings were limited by Chinese, Japanese and Korean findings, while the Red Fort Dust Bumbagar tomb has broadened the borders of the wall painting heritage up to Khangai Mountain area to the North, which brings invaluable scientific value. This tomb wall paintings prove that this heritage is not only attributable to settled nations, but to nomads as well. Although it is hard to define to whom the Red Fort Dust Bumbagar tomb belongs, reearchers believe it might belong to the Ancient Turkic noble who lived in 7th century. The display of this wall painting at the G.Zanabazar Museum of Fine Arts is to be available for the public viewing until April 22.